On Saturday November 11th, the Mackay school arrived into their semi-finals match for the 2017 ESU Debate competition. 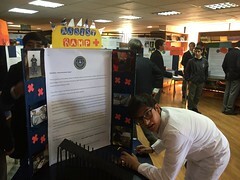 After beating St. George’s College, Colegio Craighhouse, Colegio Everest, and Santiago College on the way, the students arrived into their semi-finals match with an experienced roster, ready to take on the challenge of opposing the motion presented by their old rival Colegio Everest. 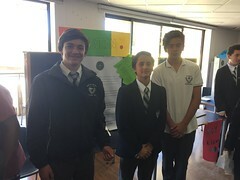 Fernando Briceño, Vicente Gonzalez, and Vicente Ahumada did a tremendous job of disproving the arguments of Everest, leading the judges to decide in favor of the Mackay school, and taking them to the finals! 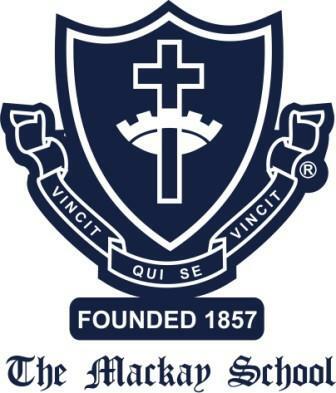 For their final match against Villa Maria Academy, The Mackay Schoool had the difficult task of arguing on the side of opposition to the motion once again. In the match Benjamin Bravo, Juan-Cristóbal Manriquez, and Fernando Briceño gave the Mackay’s team best performance of the entire competition. They were able to adapt their arguments to Villa Maria’s proposition, and they effectively disproved many of the host school’s arguments. The Mackay school awaited the judge’s decision with a buzz of anticipation and positivity. In a very close and difficult decision, the judges gave Villa Maria Academy the victory. Although they came away with the silver medal instead of the gold, the Mackay students maintained a strong enthusiasm throughout the entire day. Students and administrators alike were extremely impressed with the amount of progress the Mackay team had made throughout the competition. Briceño, Manriquez, Bravo, Gonzalez, and Ahumada all showed tremendous strides in their argument organization, their communication skills, and in their body language. The Mackay school is extremely proud of what they accomplished in this very demanding tournament that included so many other competitive schools such as Nido de Aguilas, The Grange School, and The Lincoln International Academy. Although Juan-Cristobal Manríquez of 4 Medio will not be able to participate in next year’s competition, the rest of the core members will be returning to what should be a tenacious debate team in 2018! Juan-Cristóbal Manriquez looks off into the sunset after his last match performing for the Mackay debate team. El sábado 11 de noviembre, el colegio Mackay llegó a su etapa de semifinales para la competencia de debate ESU 2017. 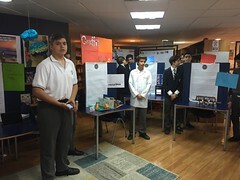 Después de vencer a St. George’s College, Colegio Craighhouse, Colegio Everest y Santiago College en el camino, los estudiantes llegaron a su semifinal con mayor experiencia, y listos para enfrentar el desafío de oponerse a la moción presentada por su rival de las rondas preliminarias, Colegio Everest. Fernando Briceño, Vicente González y Vicente Ahumada hicieron un tremendo trabajo refutando los argumentos del Everest, lo que llevó a los jueces a decidir a favor del colegio Mackay y llevarlos a la final. Para su último debate contra el colegio Villa Maria Academy, The Mackay School tuvo la difícil tarea de argumentar por el lado de la oposición a la moción una vez más. Esta vez, Benjamín Bravo, Juan Cristóbal Manríquez y Fernando Briceño le dieron al equipo de Mackay la mejor actuación de toda la competencia. Pudieron adaptar sus argumentos a la proposición de Villa María, y efectivamente refutaron muchos de los argumentos. Los alumnos de Mackay esperaron la decisión del juez con un sentimiento de optimismo. En una decisión muy cerrada y difícil, los jueces le dieron a Villa Maria Academy la victoria. 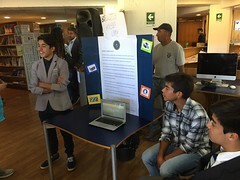 Aunque obtuvieron la medalla de plata en lugar del oro, nuestros estudiantes mantuvieron un gran entusiasmo durante todo el día. Tanto los alumnos como los profesores acompañantes y jueces quedaron muy impresionados con la cantidad de progreso que el equipo Mackay había hecho durante la competencia. Briceño, Manriquez, Bravo, González y Ahumada mostraron avances tremendos en la organización de sus argumentos, sus habilidades de comunicación y su lenguaje corporal. 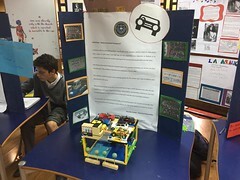 Estamos muy orgullosos de lo que lograron en este exigente torneo que incluyó muchos otros colegios competitivos como Nido de Águilas, The Grange School y The Lincoln International Academy. 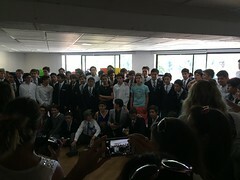 A pesar de que Juan-Cristóbal Manríquez de 4 Medio no podrá participar en la competencia del próximo año, los otros alumnos participantes regresarán a lo que debería ser un equipo de debate invencible el año 2018.